Nothing better to bring on some spring action than a little trip down south at the infamous SXSW festival! While POP is holding the fort Saturday night, March 19th, it will bring poutine to the table and seven of its favorite artists to the stage at the Barracuda (611 E 7th St). 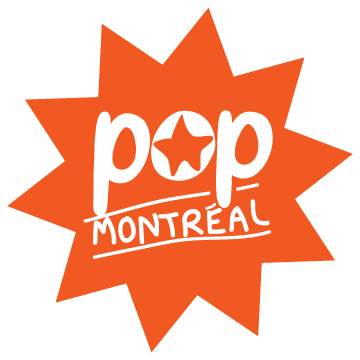 POP is really thrilled to team up for the first time with M for Montreal to present M and POP's poutine party, featuring music by Montreal's experimental sound designers Saxyndrum. Later that evening, POP's official stage will take over the outdoor patio of The Barracuda and showcase Montreal / Berlin based Antoine 93, the multi-layered dream pop trio Caveboy (formerly known as Diamond Bones), Toronto darlings For Esmé, Montreal's new hip hop luminary Wasiu, and the undeniably talented rapper and poet Lyric Michelle. Also taking the stage, punk party starters Nancy Pants, who have recently been deemed "Your New Favourite Thing" by the Toronto Star, and Sheer Agony, whose latest album Masterpiece was acclaimed by blogs such as Brooklyn Vegan and Stereogum.